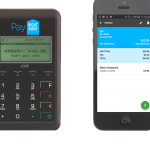 Australia; 13 August, 2015: Australian taxi app and mobile payment provider, ingogo, today announced that its highly anticipated wireless payment platform – Pay RIGHT AWAY – is now live as a fully viable commercial product for small-medium sized enterprises (SMEs). Today’s launch fortifies ingogo’s expansion beyond the taxi industry and follows on from the initial pilot testing, which started in February 2015. The payment solution has now completed its beta trials and is ready to transform the way SMEs – such as tradesmen and small business owners – operate their business transactions by providing a fair and seamless mobile payment solution that improves cash flow while integrating with Xero’s global accounting platform. The system is available on iOS and Android. The Pay RIGHT AWAY solution is the next stage in ingogo’s mission to revolutionise how businesses and consumers conduct payments, having already launched the world’s first app-based payment platform in October 2013, providing wireless terminals in taxis. To date, ingogo terminals have processed over $200 million and over five-million taxi transactions. With on-the-spot payment processing and next day settlements, business owners will receive their money faster than ever before, as Pay RIGHT AWAY offers a flexible, time-effective way to improve business cash flow and reduce admin. Payments from major credit and debit cards will be accepted, using contactless technology such as Tap&Go and PayWave, along with full EFTPOS chip & PIN or magstripe. Pay RIGHT AWAY’s integration with Xero minimises time-consuming administration by auto-reconciling settlements, managing payments transacted on-the-go and creating and sending automated and itemised invoices and receipts, all while integrating with Xero’s inventory management system. Hamish Petrie, founder and CEO of ingogo, said: “We’re excited to announce that our Pay RIGHT AWAY platform is now live as a commercial model. The feedback from the initial integration and beta testing proved that this payment solution is long overdue in the SME market, as busy business owners don’t have the time or resources to manage their day-to-day invoicing and account collections. “The partnership with Xero and integration of both our market leading mobile payment and accounting software creates a seamless blend of flexible, accessible technology that will streamline the payments process from start to finish. “The service will provide owners with a tool to free themselves from unnecessary admin and spend less time chasing outstanding payments, and with no monthly terminal rental fees, the solution is completely cost-effective,” said Mr Petrie. ingogo is an integrated mobile payments company, currently in the Taxi and SME markets in Australia. Its mobile app assists private and corporate customers to easily book and pay for taxis through their mobile phones. It allows passengers to communicate directly with registered taxi drivers in their local area, see where their driver is and their estimated arrival time, with the option to pay using ingogo’s secure in-taxi payment terminals or virtual mobile accounts. It currently operates in Sydney and Melbourne, and has recently launched in Brisbane, Perth and Adelaide. Xero is beautiful, easy-to-use online accounting software for small businesses and their advisors. The company has 540,000 subscribers in more than 180 countries. Xero seamlessly integrates with over 400 third-party tools, and was ranked No. 1 by Forbes as the World’s Most Innovative Growth Company in 2014 and 2015. 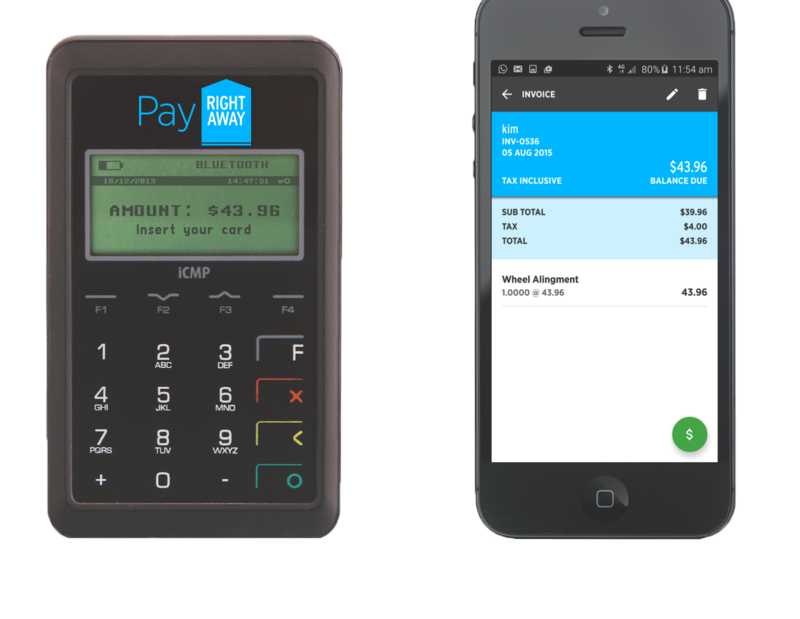 Pay RIGHT AWAY is a mobile payment solution ideal for SMEs, enabling small business owners to improve business cash flow as well as save on time and money. Available as a mobile application on iOS and Android, the system provides secure on-the-spot payment processing using contactless and EFTPOS technology, with users able to receive next day payment settlements as well as create and send receipts and invoices. Pay RIGHT AWAY is a Xero Add-on partner integrating with Xero’s inventory management system.